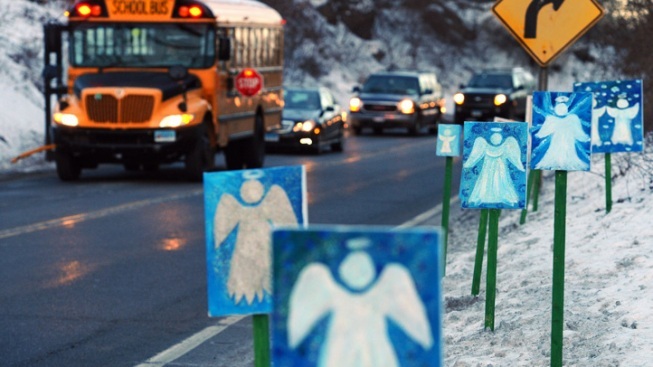 The My Sandy Hook Family Fund is distributing the first round of funds to families of the victims of the shooting at Sandy Hook Elementary School. The 26 families who lost loved ones on Dec. 14 are each receiving $40,000, according to D. Robert Morris. Parents in Sandy Hook created the fund to create immediate and continued support to victims’ families and they have raised between $1.1 million and $1.2 million so far. They hope to raise at least $2.6 million. This is the first charitable fund set up after the shooting to provide funds directly to the family. You can make a donation through the Ever Ribbon Web site.